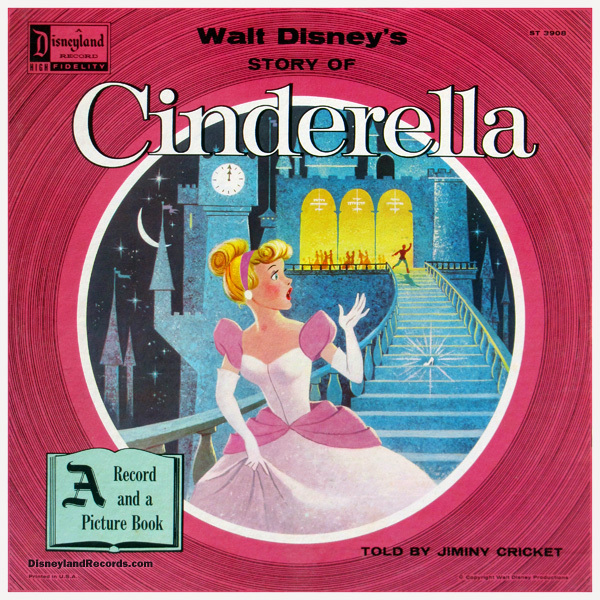 Record Comments: This record is part of a circle-art series that illustrates groove lines of a vinyl disc with the content's subject illustrated in place of the record label. 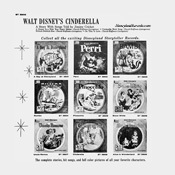 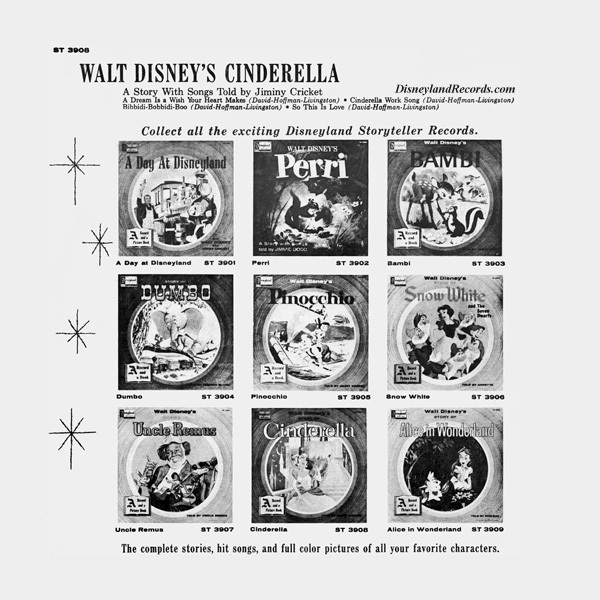 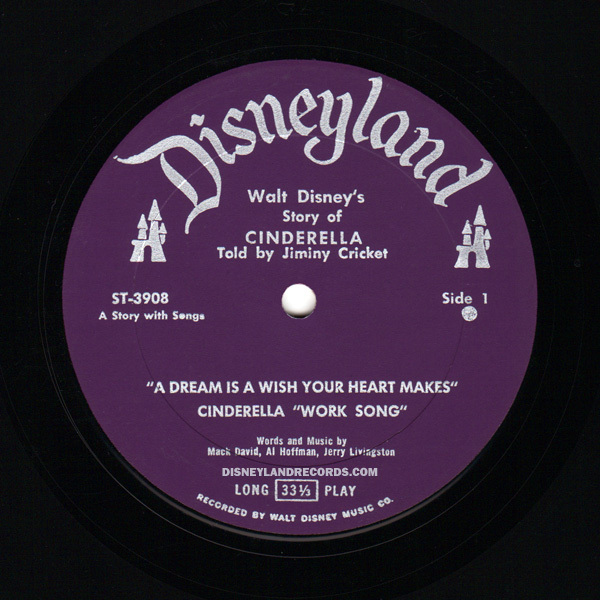 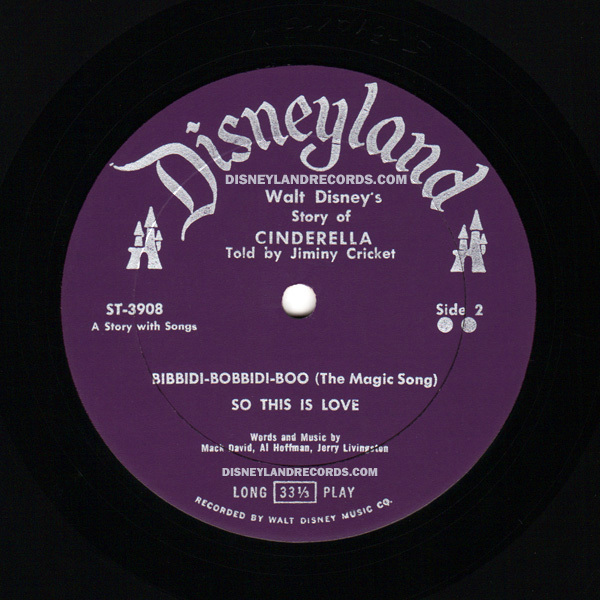 The first Story Teller records on the Disneyland label can be found in this series. 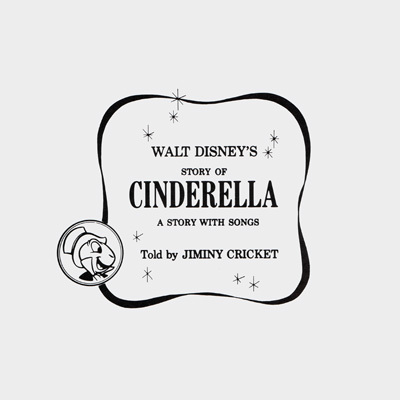 The story for this issue is told by Cliff Edwards as Jiminy Cricket. 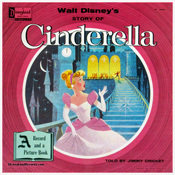 The record was issued with different backs and inside back cover illustrations. 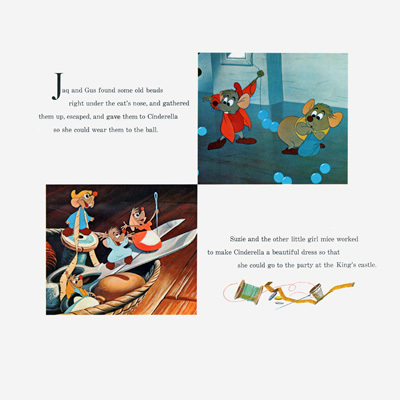 This back has nine photos of other Story Teller issues with Disney characters surrounding Dumbo on the inside of the back cover. 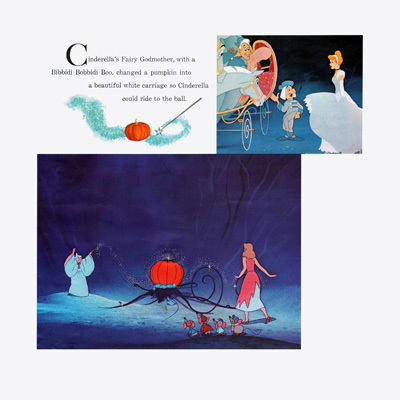 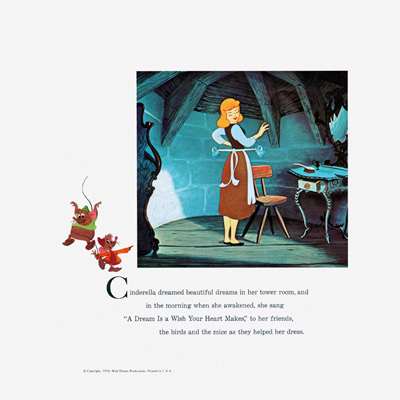 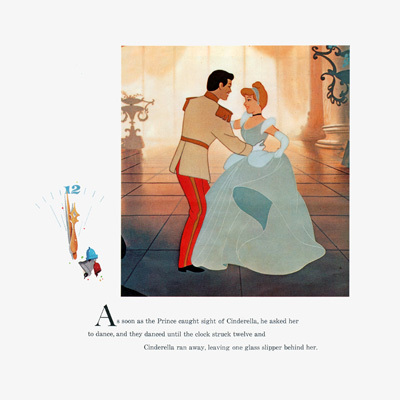 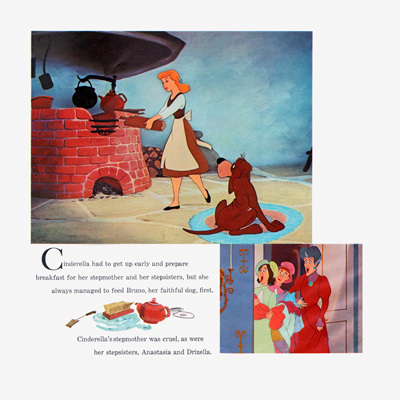 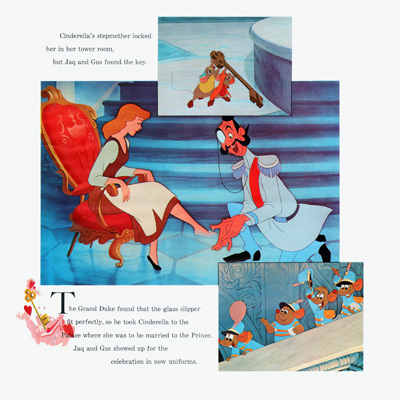 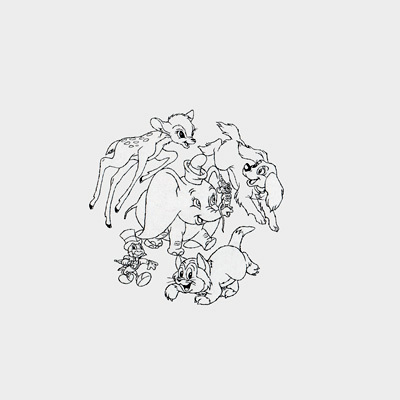 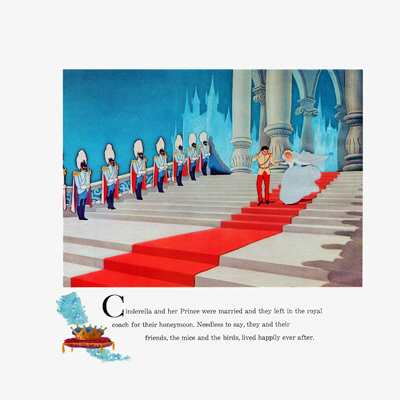 Subject Notes: Cinderella is Disney's 12th animated feature and premiered in theaters during March of 1950. 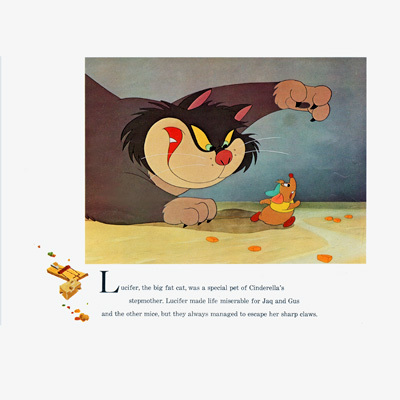 The running time is approximately 74 minutes.